The info here is dealing with the Deity World expansion to the game. So far it’s only been reported as live in iOS by a few people, many can’t see it yet. It sounds like it will be coming to Android on Thursday. The Ancient Portal is already visible on iOS and Android! Crystals are a new type of “currency” within the game. They can be collected, bought, crafted, and spent. 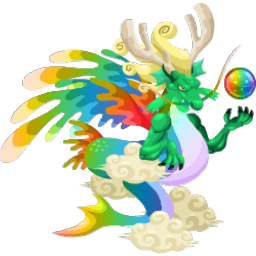 They are very important in regards to the new Deity World and are the way to get Ancient Dragons. 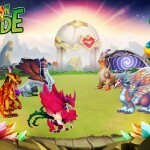 Crystals are used to summon the new Ancient dragons. To get Crystals you can build Mines. Each type of Mine gives a specific type of Crystal. The higher level the Mine, the more Crystals it produces. Each Crystal has 10 levels of Purity. The higher the Purity, the more valuable it is. To craft a higher purity Crystal requires 5 Crystals of the next lower purity level. So a Neat purity Crystal requires 5 Fine purity Crystals to be crafted. I am on my 4th dragon and upgraded dragons to level three. It is important that you upgrade island if not after 5 hours they will be full. If you upgrade them overnight when not on it they keep going and whatever you do don’t use your plat to craft with because the price of craft a couple of gems is the same as upgrade mine and if you upgrade mine it cost you nothing for better gems. 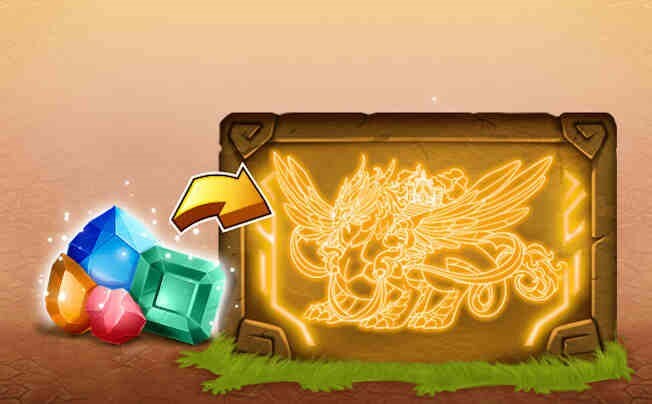 Hint, Concentrate on making ruby and sapphires you will need them the most to upgrade your dragons. I have 500,000 platinum, and I am about to make my first Level 9 Oval and level 10 Perfect Crystals, But What good are they?? I can’t spend them on anything?? what is the deal ? Why do I need to make them?? I think this system is ridiculous. I have tons of crystals and tons of the steel aka the currency to craft the jewels but I don’t have the time to convert all of them. 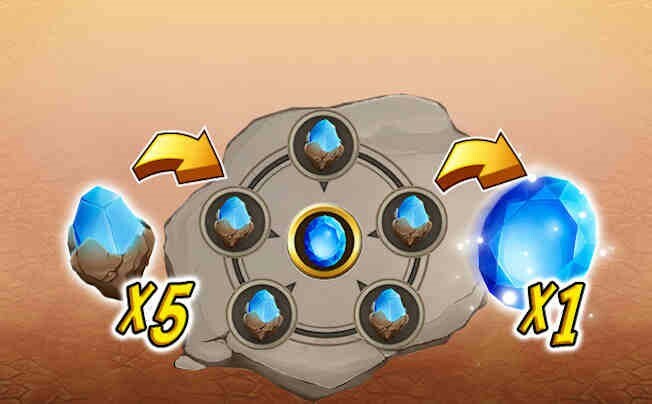 I wish Dragon City would give us the option to choose how many crystals we want to convert instead of one at a time. What if you upgraded the mine and need a lower purity crystal? Is there any faster way to craft crystals cuz it just takes WAAAAY to long to convert all my raws into cleans one click at a time. Plus sometimes if I craft too many crystals in a row the game crashes and won’t even reload until I come back later. It’s so counter intuitive. to make 10 crystals per minute. to make 24 crystals per minute. Why upgrade when the result is SOOOO bad? Level 1 is the BEST level to be on. So, they want over 200 gems to craft a ruby… How do other players get gems at this rate without buying them? I could spend my rent just on crafting gems! Let alone the rest of the game…the “free gem generators” have to be a scam, I tried them and after the surveys, they don’t let me complete them and it’s a bust and my email is flooded with spam mail. There has to be another way! How to upgrade mines to next level? What is needed for the upgrade? Iv’e just calculated when will i get an oval ruby (ancient world) and it will take about 5 YEARS to get it! every 22 hours you get about 8 fine rubies (after crafting), thats 8/22 a hour, which is 8.727 (96/11) a day. so 15,625 divided by (8.727 times 365 ) [per year] is 4.905 YEARS!! I have the same problem as Doris. I accidently used 36 gems to speed a onyx creation. 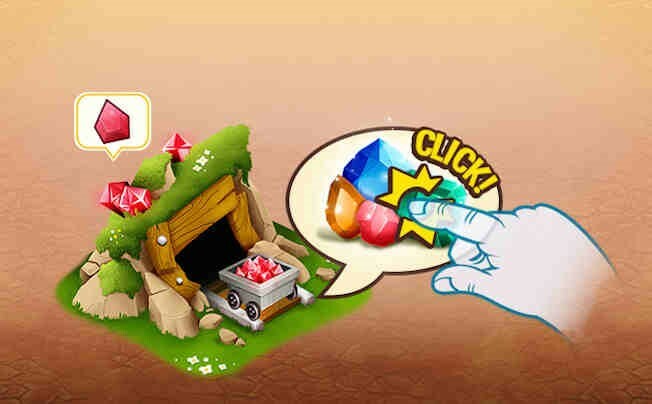 My mines are mostly level 4, and it takes between 12-32 hours for all of the mines to give me the crystals. Is this a mistake or an actual update for the game? Social Point needs to have a “create this many” many button where I can say I want to make “x” number of bright ruby gems from raw ruby gems. It’s a bit absurd for me to click “create” gem 625 times to create 1 bright ruby from 3,125 raw ruby gems. A max level 6 mine can produce Fine crystals. Go for it! Level 5: Haven't upgraded to this one yet, because it still says my Max purity will be pure. Where can i buy or get? How can i buy ,mines, or crystals? Has anyone upgraded these mines yet? It seems expensive but I think it’s the best way forwards. The cost of crafting is quite high whereas you can pay a lump sum and get better crystals straight off. The only issue I have is at level 4 it says you get pure to pure. Does this mean you only get pure rather than the combo of lesser crystals I’ve been getting upto now? This doesn’t seem like an upgrade so until better info is out there I’m gonna wait. What’s the purpose for these crystals?